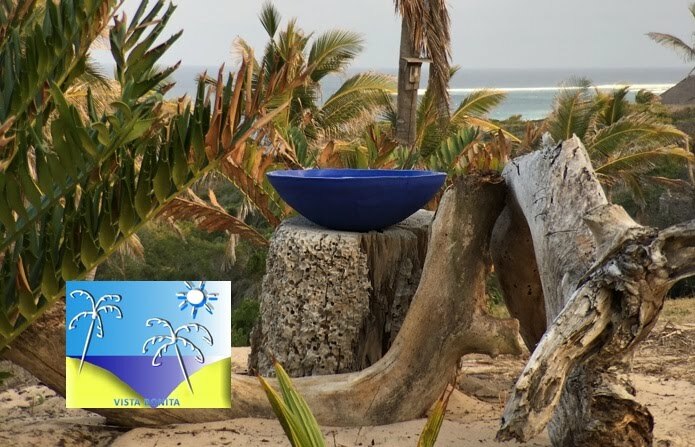 The magical Southern Inhambane Coast features many of Mozambique's most famed beaches. From the lakes beginning at Quissico, Inharrime and Legogo, up through Paindane, Guinjata Bay, Praia das Rochas and Tartaruga Beach. Blissful beaches full of great fishing, and sea activities. And as always in Inhambane, plenty of sun. Self-catering Accommodation for those who want peace and proximity to the beach and all of the exciting activities. Vista Bointa has fully equipped Chalets of the highest standard for 8 or 4 guests. We put in the extra effort to make your holiday hassle-free. Enjoy tranquility in paradise! We have 4 chalets, 2 are 8-sleepers, and 2 are 4-sleepers. We provide bedding, mosquito nets, clean water, electricity and fully-equipped kitchens with fridge and freezer. All our units have beautiful sea views and are no more than 200m from our very own beach. Al units are serviced daily except for Sundays. Contact us for more information regarding activities and extras that we offer! We are right next door to the large resorts, enjoying their facilities without the crowds. On one of Mozambique's hidden gems you will find pristine beaches, great fishing, unimaginable diving, and the complete Mozambican Beach Holiday experience. Lighthouse Reef has full-equipped luxury houses perfect for settling in and living the perfect Mozambican beach experience. The houses feature high in the sand dunes with stunning views out over the Indian Ocean where you can enjoy watching the humpback whales pirouetting in the ocean as they migrate past between the months of June and November. Whale sharks are present year round but are more prevalent between October and April. A short walk and you are down on this pristine beach with its unique reef protection allowing for snorkelling and swimming protected from the ocean currents. A little south of the bustling Barra and Tofo beaches is a slice of heaven protected by a pristine reef. Esperanza Beach Lodge is located on Paindane Bay. Your private chalet has its own private pool and looks out to this beach paradise. After taking in the many activities that our lodge has to offer you can relax at our beach bar, "Cantina Esperanza", which is on the beach and serves fantastic fresh cuisine cooked with traditional Mozambique methods. Sit back from your deck, or from the beach bar, and watch the whales migrate by. Lagoa Poelela Resort is located on the eastern shores of Lake Poelela. It offers accommodation in two and four bed chalets with mosquito nets on the beach, with private bathroom, shower, hot water and electricity. They are all very spacious and comfortable. Each room has furnishing and fine finishing. Sliding French doors with large windows give access to a lovely terrace overlooking the lagoon. 4WD is required to access the resort. Located on southern Inhambane's magestic beaches Oyster Bay Estate is ideal for holidayers and investors who dream of waking to ocean views, humpback whales, and virgin beaches. We offer comfortable self-catering accommodation with magestic views over these wild beaches. 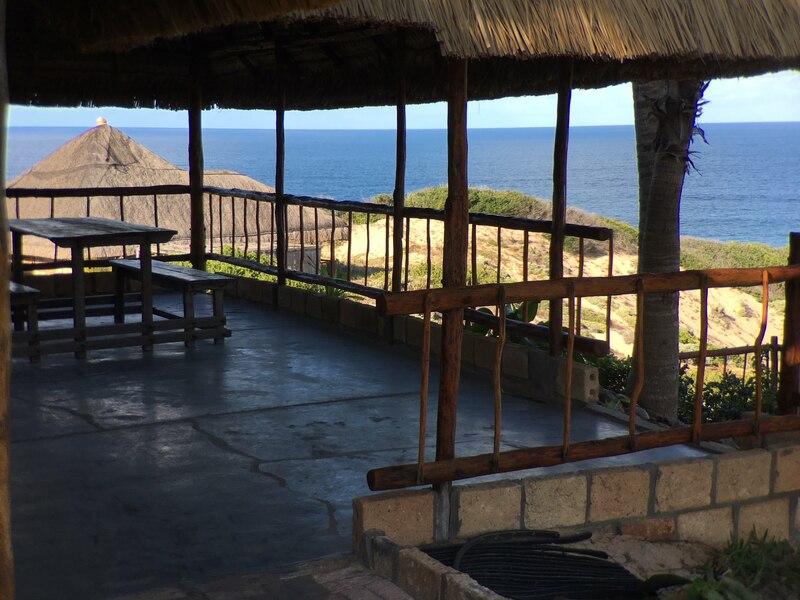 Along with the magnificent sea views each chalet comes fully equipped so all you need to bring is your beach equipment, and food and drinks if you wish to prepare your own seafood meals. If course there is always the alternative of enjoying the freshest seafood or other dishes at our restaurant and bar.